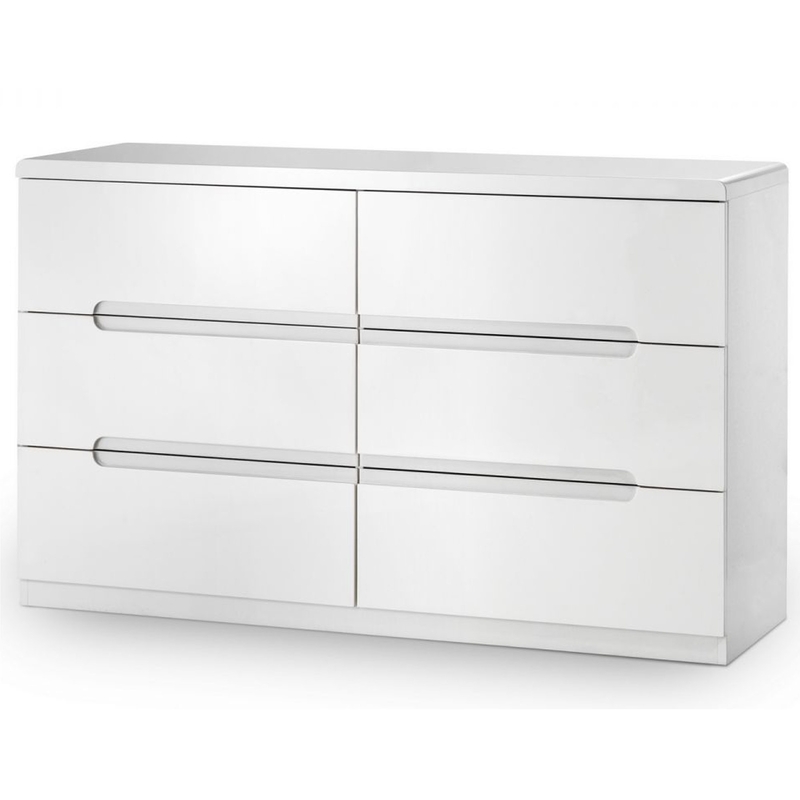 We are proud to introduce this stunning Manhattan 6 Drawer Wide Chest. It has a gorgeous design which is very simplistic but has a contemporary touch. The modern style is further complemented by its White High Gloss Lacquer finish.